Please record all vehicles and non-motorists (Pedestrians, Cyclists, etc.) that were involved in the crash in the appropriate section of the form. For vehicles, be sure to select Vehicle and fill out the operator, vehicle and owner information. Also, please record all occupants in each vehicle including the operator by listing their names, addresses, DOB or Age and the other fields that are listed in that section. Please note that the operator’s name and address does not need to be listed again as the first line includes them, just fill out the other relevant fields. If there were more than 4 occupants involved, please record the others on an additional crash form. It will not be necessary to completely fill out the 2nd crash report as most of the information should have been listed on the first, but be sure to write the date and time of the crash, city/town that the crash occurred in and also the registration number of the relevant vehicle and staple it to the other completed report. Did the crash involve a Pedestrian, Cyclist, Skater or Other Non-Motorist? Then be sure to record this information by selecting Non-Motorist and fill in the corresponding fields for them, fields 14-17. Please record their name and address in the operator area and lastly fill out their safety equipment used and injury information in fields 27, 32, 33 and also the medical facility if applicable. Did the crash involve a Hit and Run? Then be sure to record this information by selecting Hit/Run and filling out whatever information was obtainable in the operator and vehicle areas. Did the crash involve a Moped? 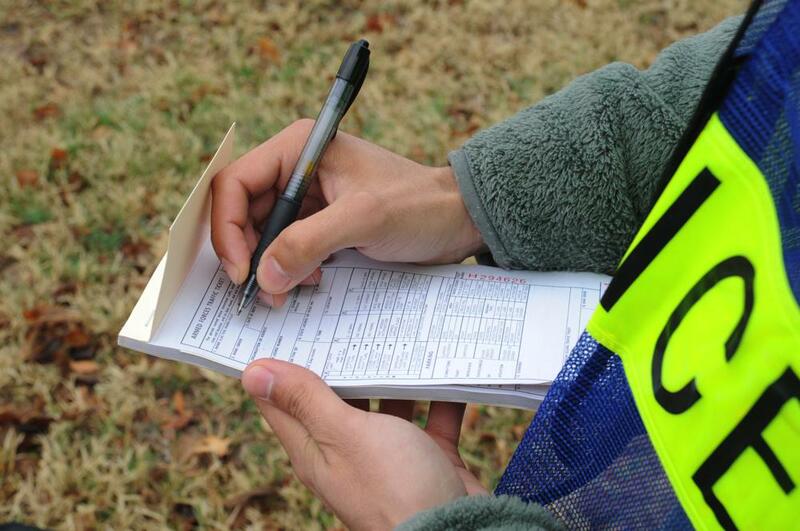 Then be sure to record this information by selecting Moped and filling out whatever information is applicable in the operator and vehicle areas. Did the crash involve 3 or more vehicles? Then be sure to use another crash report to list the additional vehicles. It will not be necessary to completely fill out the 2nd crash report as most of the information should have been listed on the first, but be sure to write the date and time of the crash and the city/town that the crash occurred in and staple it to the other completed report.